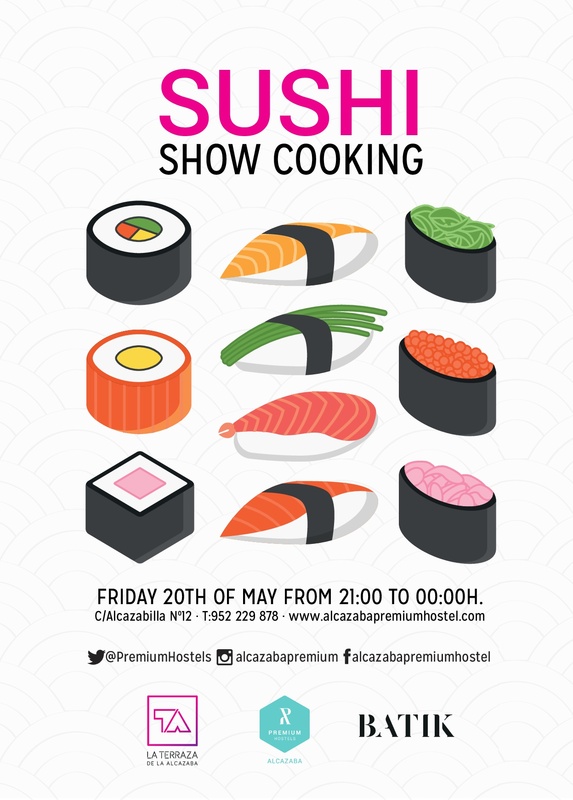 During the month of May, at Alcazaba Premium Hostel, our Rooftop Terrace and our Restaurant Batik, we have prepared 4 succulent food-related events that you will not want to miss. For all tastes and palates. Simply because we love you to eat well and enjoy with us the best culinary products worldwide. Does not it make you salivate? Check out everything we have prepared for you this month and satisfy your most voracious appetite! Live Sushi Cooking Show by our Restaurant Batik at our Rooftop Terrace. Maki, uramaki, nigiri… Asian delicious banquet, plus a nice show. 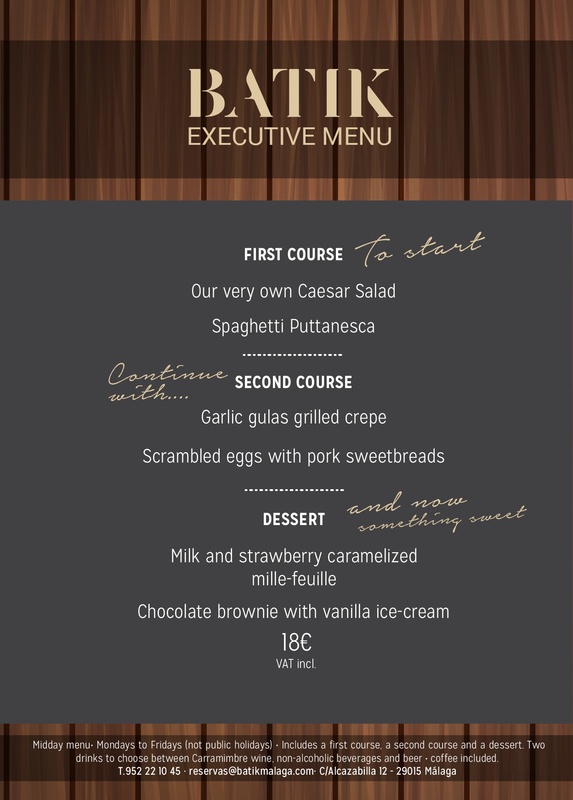 We have prepared an exclusive executive menu will vary from week to week to satisfy the appetite of the most hard-working! It includes a starter, a main course, a dessert, 2 drinks and a coffee, and you can order it from Monday to Friday noon (except holidays). From May 26th to June 5th. A wonderful selection of sautéed-in-a-wok dishes to choose, in true Asian style, combined with some wonderful selected cocktails. 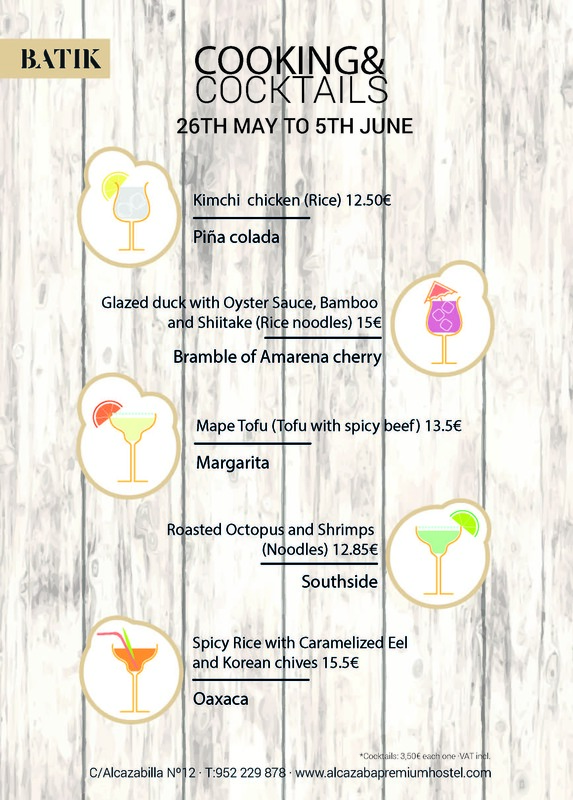 Glazed duck with Bamble of Amarena cherry, spicy rice with Oaxaca, mape tofu with Margarita… The perfect fusion between healthy food, exotic flavours and delicious and refreshing cocktails! Once more, we are joining this tasty ride through the skies proposed by Cervezas Victoria, the well known beer company. 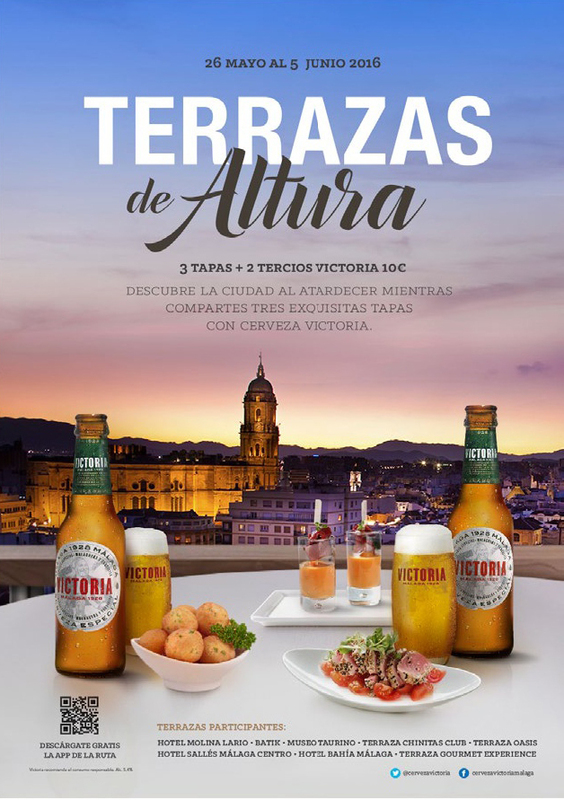 You can order 3 tapas and two Victoria beers for only EUR 10 and discover the wonderful city views at sunset from our amazing Rooftop Terrace. So you know, enjoy now any (or all) of our culinary proposals and say hi to summer with flavour and height at Alcazaba Premium Hostel!